The Epicinium Kickstarter is now live! You can now back the environmental wargame from cooperative indie studio A Bunch of Hacks, and see it on its way to becoming a fully fledged masterpiece! 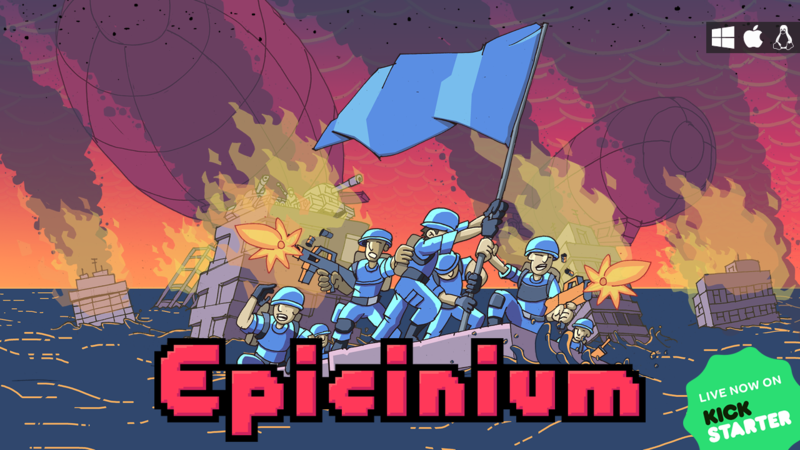 Epicinium is a game of tactical warfare, with a strong environmental element as players are scored not only for military success but the state of the lands remaining at the end of the game. Will you industrialise and push for a greater victory over your enemies, knowing the risk that climate change and pollution could drag down your score? How worth is it winning a mighty victory if all you have left to rule is bomb craters and mud? Epicinium asks these questions in a setting that nonetheless has a well balanced wargame with a range of tactical options at its heart, from lowly riflemen and trench-digging sappers to powerful tanks and zeppelins. Take a look and chip in to back the project!